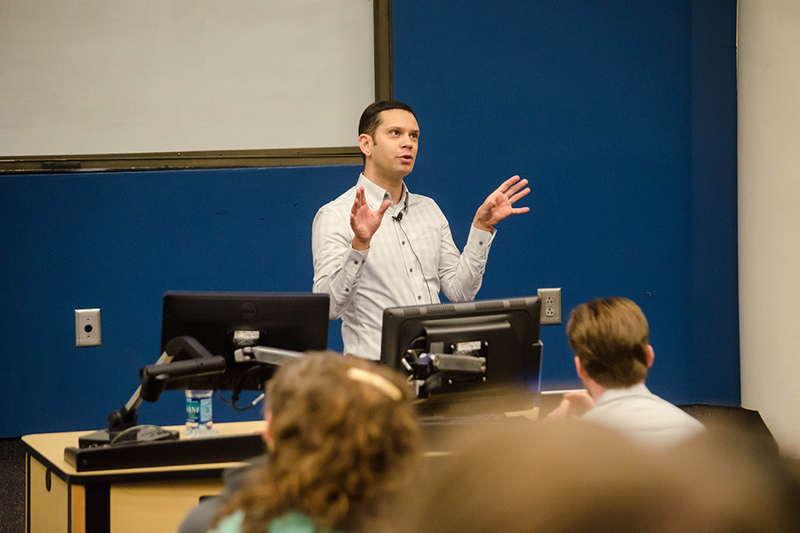 On Feb. 16, Justin V. Hastings, a Senior Lecturer in International Relations and Comparative Politics at the University of Sydney, visited Tech to discuss North Korea’s surprising entrepreneurship. His research actually led him to believe that “North Korea is a paranoid Stalinist, state but very enterprising.” North Korea actually “has a fairly vibrant private economy” with middle-hybrid entities finding a niche in the economic environment. Citing North Korea’s state-owned restaurant chain, drug trafficking industries and sanctions-busting efforts as examples of entrepreneurship, Hastings delves into the business side of the intriguing nation-state. The country’s personal state-owned restaurant chain actually holds locations outside North Korea to earn profit. The country profits from its isolated status by allowing restaurant-goers to briefly experience North Korean cuisine. For drug trafficking, the country “had its owned state-run drug companies” which Hastings rightly deemed “fairly unusual.” North Korea now specializes in the crystal meth drug trade. With regards to sanctions-busting, Hastings refers to North Korea’s expertise in using its isolated situation to its advantage. Since excessive sanctions from outside nations limit North Korea’s trading abilities, the country relies on the black-market to receive sanctioned goods. oday, though, the North Koreans are using their entrepreneurial abilities to essentially cut out the middleman; moreover, they are cutting the Chinese trading companies out of the equation by getting the sanctioned goods across the borders themselves. The North Korea-China relationship is unique. Moreover, “China has profited from North Korea’s strangeness” as evidenced by the Chinese turning locations close to North Korea into lavish tourist-heavy resorts. With an ideology emphasizing the “do anything to survive” mentality, North Korea does not respond to threats lightly with regards to the business realm. He proposed that instead of imposing blanket sanctions, countries should impose more specific sanctions to limit North Korea’s creative, sanction-busting efforts.